Well, yeah. When they’re awake. 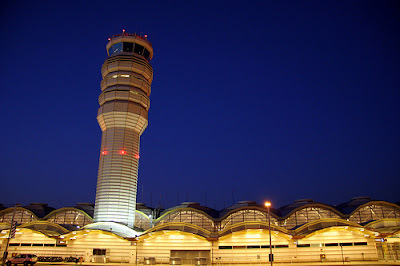 Seems as there was only one controller on duty just after midnight in the tower of Washington D.C.’s Reagan National airport and, evidently, he was asleep (or otherwise indisposed). Two planes contacted the the tower and got no response before landing safely on their own – no small feat considering the approach to DCA is a tricky one. The final approach follows the river, which unlike its larger brethren named Mississippi or Nile, does not travel in a straight line, but does what all good local rivers do – it meanders. A lot. 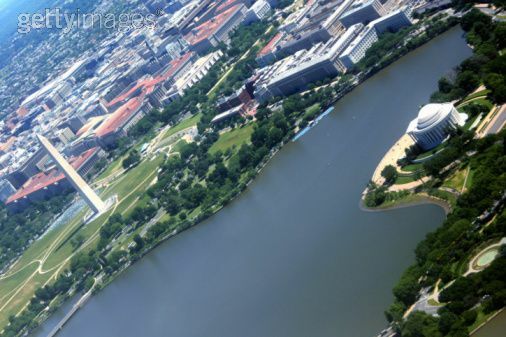 Thus affording air travelers some interesting views of the Capitol of the Free World as they twist and turn towards an organized and safe intersection with the ground. So both an American and a United flight got to negotiate this tricky approach while the lone controller was not, in fact, guiding them home safely. Word from various major media sources is that the single flight controller was either asleep or had a “medical emergency” (is that FAA or NATCA code for “taking a crap”?). Ironically, yesterday the USA Today reported that the air traffic controllers union is pushing a proposal that, in some instances, would allow members literally to sleep on the job. Hence, the DCA incident is rather poorly timed considering the union is currently holding it’s annual safety conference at the Rio in Las Vegas. As part of a dozen recommendations designed to ward off fatigue, the union advocates allowing controllers working overnight shifts to take two-hour "recuperative breaks" that could include napping. The controllers already have shorter breaks but are not supposed to sleep. The lastest issue will be cannon fodder for both sides as the union will claim that had the DCA controller James “Rip” Van Winkle (not his real name) napped previously, he would have been awake when summonsed on the radio earlier this morning.